Modern technology shifts are allowing an ever increasing number of people to create innovative and engaging concepts using the web. As a MSc(Res) candidate I developed U-Wave Internet Radio, along with Sylvester Sweeny, to promote this shift. 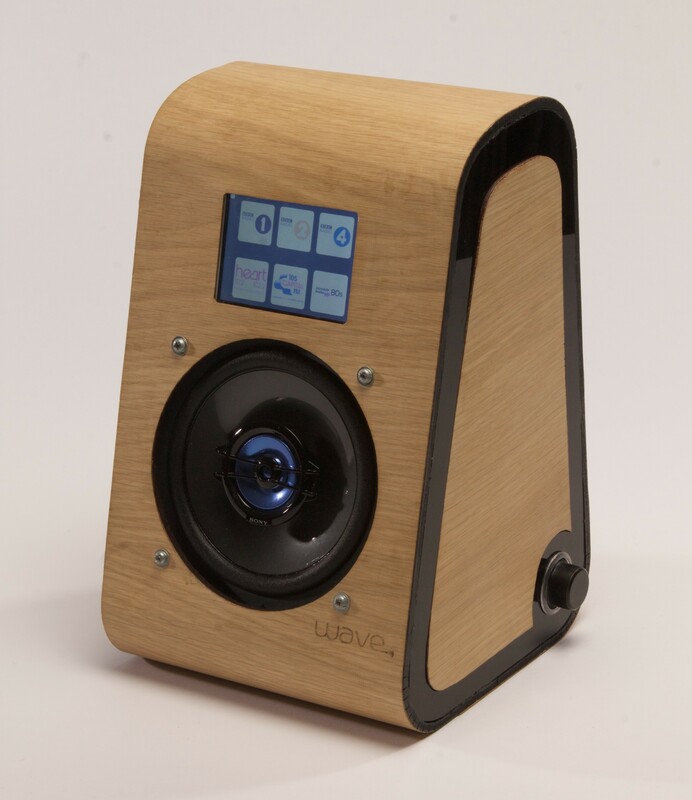 U-Wave shows people that anyone can get their hands dirty with the web and start creating. One of the main outcomes for this project was to create something open source, we wanted the public to be able to personally recreate this design rather than buy one commercially. 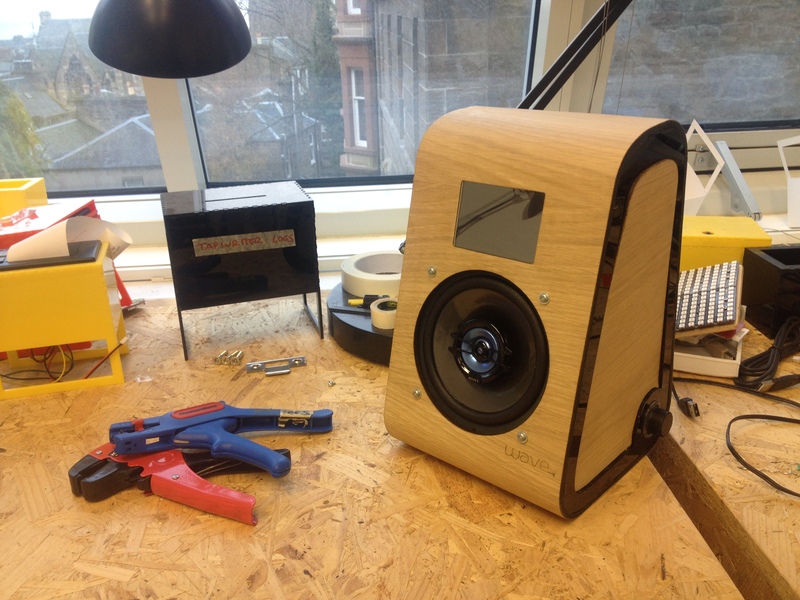 Using an open-source platform such as ”Instructables”, anyone is able to download the step by step build instructions for this design and create their own. Using our online build tutorial the user will have help to craft a meaning and personal product for them, including handy tips and trick to personalise and develop a unique outcome. As stated above this project is open-source orientated. This results in the major outcome being a series of instructions rather than a physical device, however in order to refine the process, we developed several radios designs ourselves. 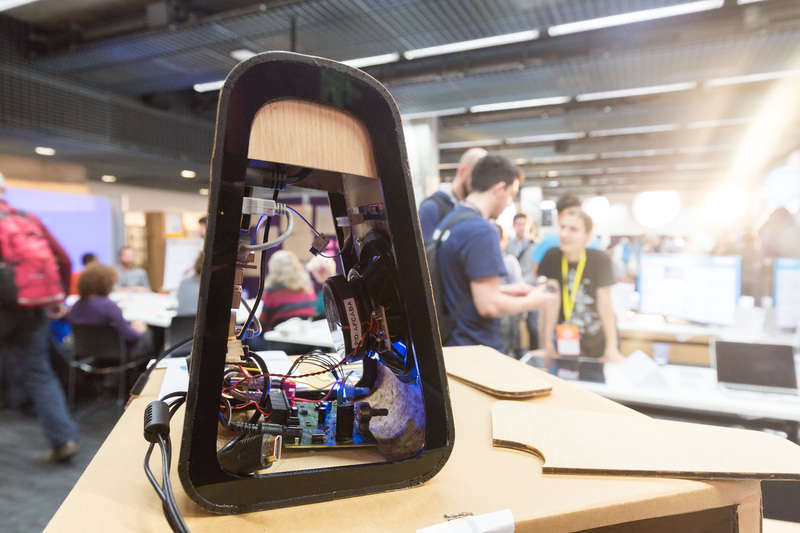 Our refined device, displayed here, consists of a wood and plastic body that has been designed and created with open-source fabrication in mind. All of the components have been laser cut from standard stock materials that can be found in most general material stores and require very little working. I like to say that, apart from a lasercutter, the radio design itself can be build using tools you will find in your average home. All of the radio body’s component parts have been designed using a software program that can communicate with all laser cutters with ease and allows for personal modifications to be made without difficulty. These software files are all available, open-source, for download within the instructable tutorial for free. The most exciting aspect of the U-Wave radio is the technology. Within the radio body there is a collection of creative technological hardware that when employed together allow the user to interact with the internet to select any radio station worldwide. This may sound complicated but using the step by step tutorial provided the task to create the working technology is actually very simple. The major components that make up the devices technology are: the amplifier, the speaker, the touch screen and two raspberry pis. The raspberry pis allow the device to speak to the internet as well as allow the device to display an interactive interface. Another fantastic feature of the U-Wave internet radio is the ability to operate it from any room in the house using any internet enabled device. For example, I would be able to change the radio station playing in the kitchen from my bedroom three rooms away, using my smartphone. The device has removable side panels for easy access to the internal technology. This allows the user to replace components if they are faulty, in place of having to buy an entirely new ‘expensive’ replacement product. This factor also allows he product to be upgraded at any point, allowing the radio to combat obsolescence. The main aim of U-wave is to educate the user about the rapidly advancing world of creative technology and to allow them to understand just how there devices function. I am happy to announce that the radio build has been tackled by others using the on-line tutorial and the feedback I have received is invaluable. 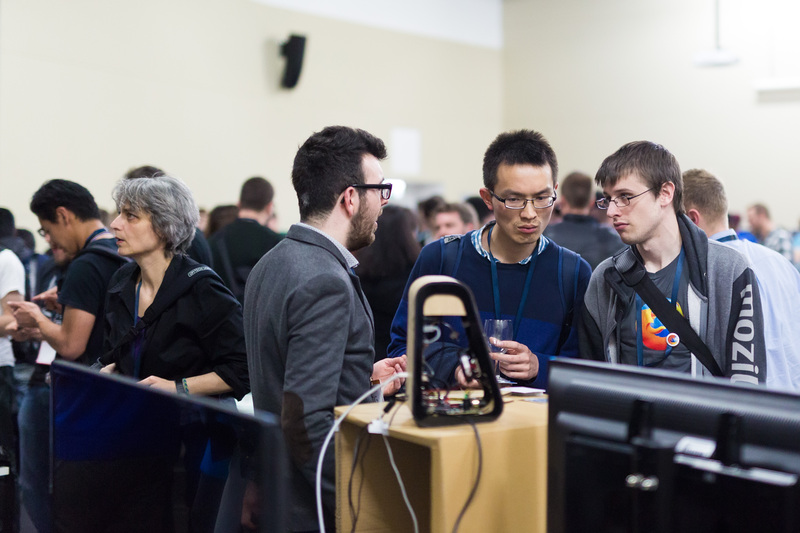 After we had completed the development of U-Wave we travelled down to the 2015 Mozilla Festival in London to present our concept over a three day period. 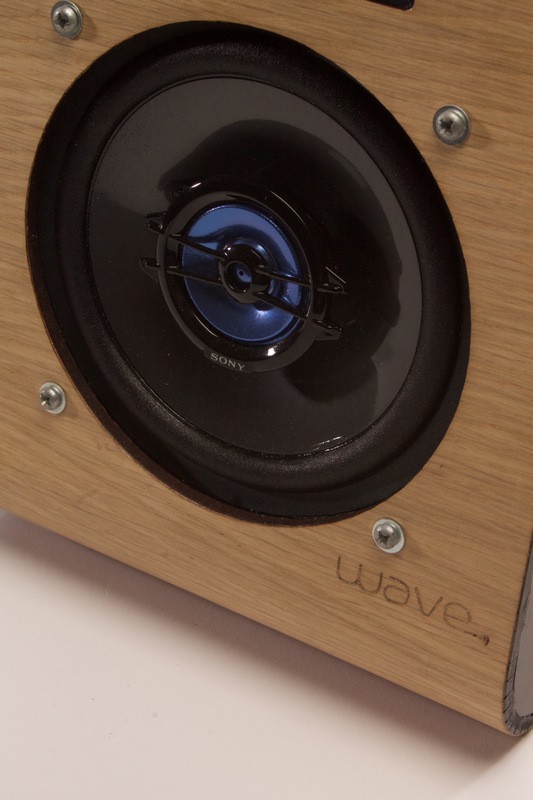 Many people took great interest in U-Wave and even returned with their friends, we took great pleasure in watching others explain the design with great enthusiasm. 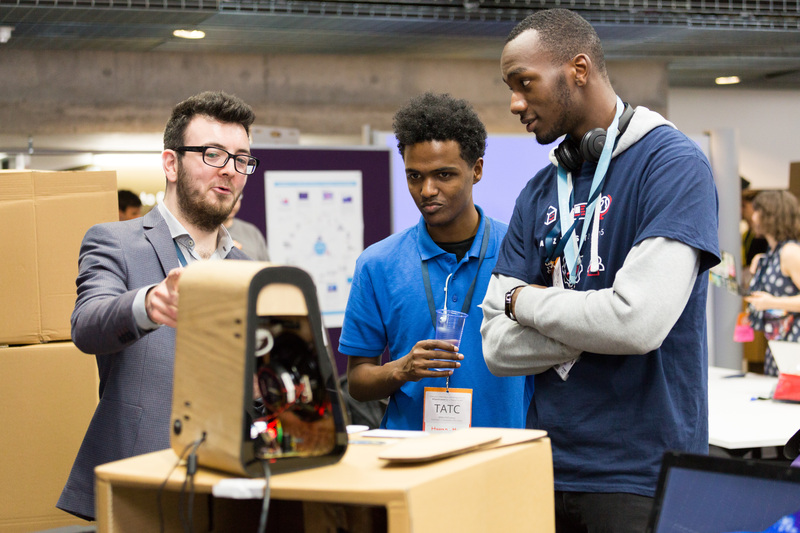 The overall experience was a great delight and showed us just how much interest is being generated around the field of open source web and hardware development.